Yesterday I regaled you with my confession of otakuness, and here is the proof. 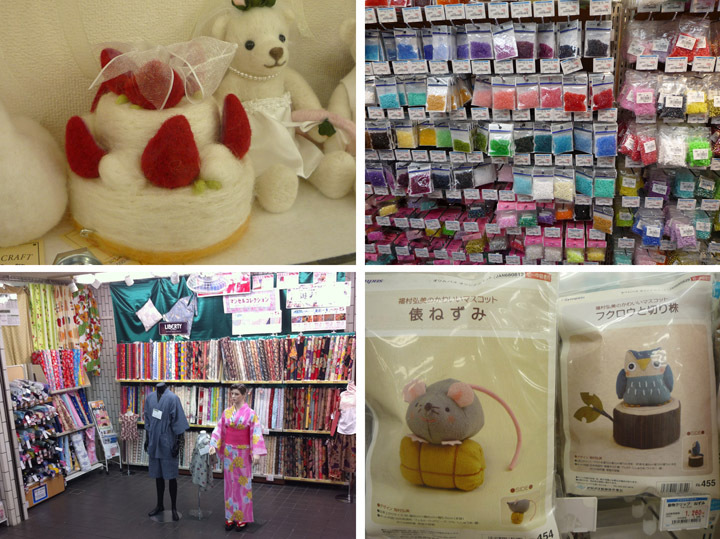 This past weekend we set out to Futako-tamagawa in search of a craft shop. That’s right, I lured Dan along with the promise of ramen, but we somehow ran out of time. I’m a cruel woman. 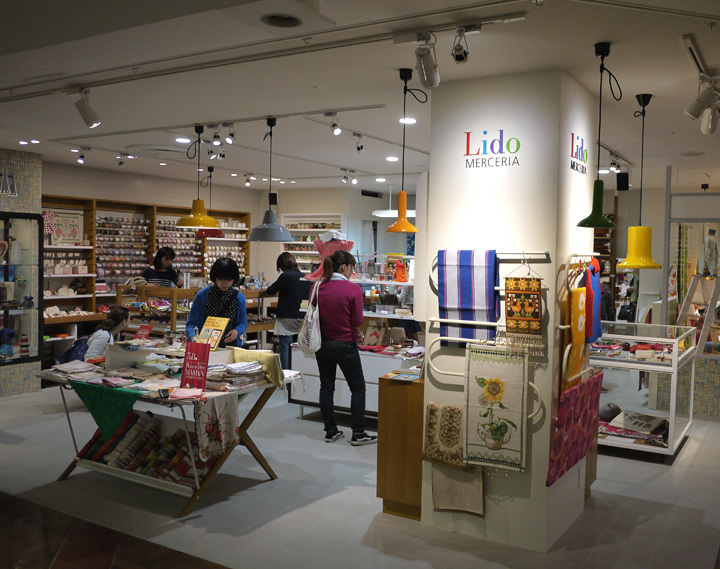 Hobbyra Hobbyre and Lido Merceria are not just craft stores, but Tokyo shopping at its best — small, well-curated specialty shops for the enthusiast. 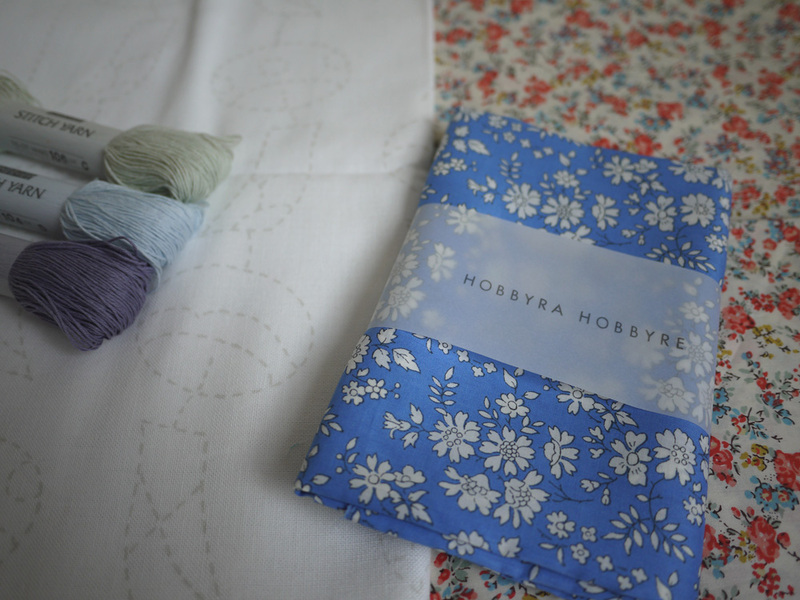 Let’s begin with Hobbyra Hobbyre, a French-embroidery-inspired, Liberty-of-London-lover’s paradise. 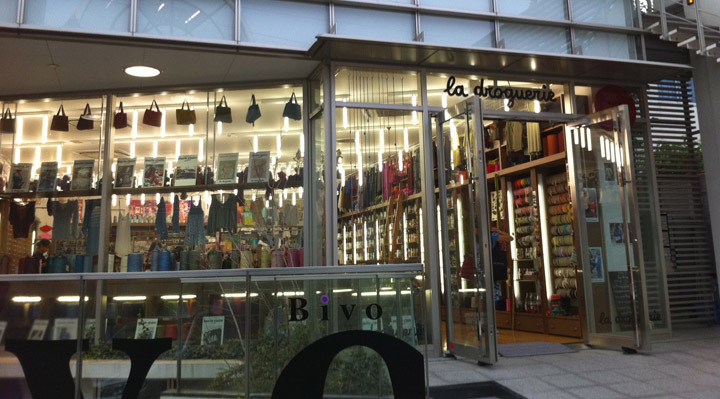 This shop carries a little bit of a lot of things, but all were of the best quality — beautiful cotton and linen print fabrics, fine yarns and wood knitting needles, sewing patterns and books, needlework supplies, selected tools and notions, and amazing printed embroidery kits. I mean amazing. I wanted to leave with a few of each. The downside to this shop is that it’s a bit expensive. Fabric was in the 1000-2500 yen per meter range (US$12-$30 per yard), yet I picked up some reasonably-priced sashiko supplies for 200 yen each (US$2.50). Dan told me later that, while waiting outside, he got a bit nervous when a woman left the shop exclaiming how expensive it all was, because I was still inside, taking my sweet time, certainly doing damage to our bank account. My words, not his of course. 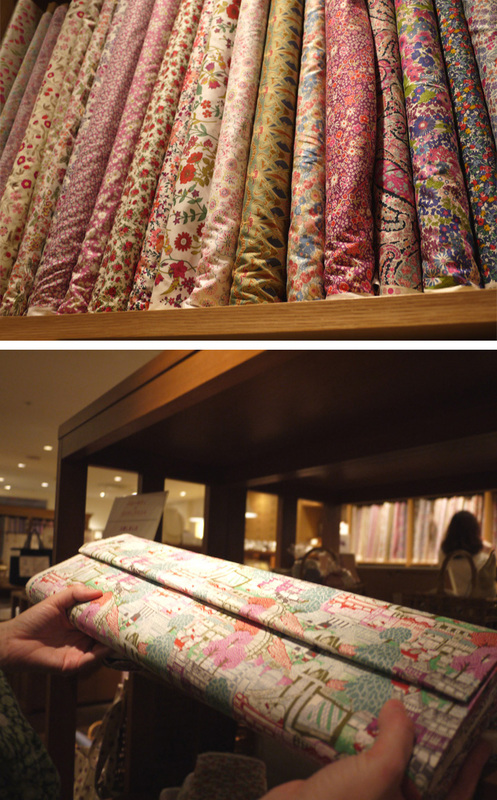 The crown jewel of the day, maybe my entire week, was the Hello Kitty + Liberty of London limited edition cotton prints. 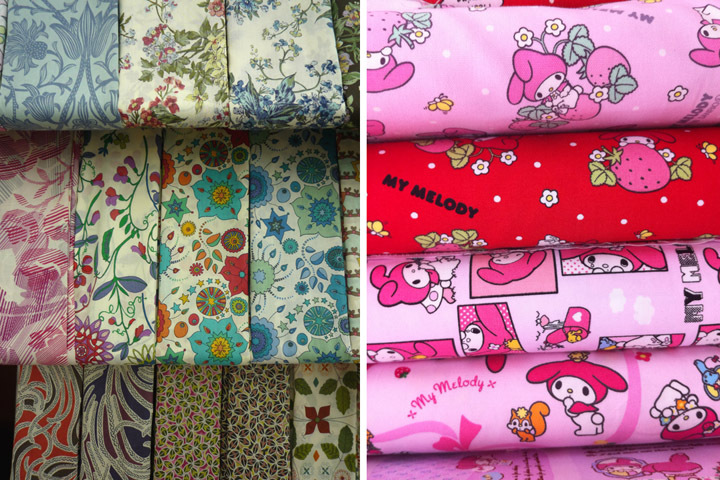 Both have a dedicated cult following (many of you know about my little Liberty crush), and they’ve combined forces to produce some of the most whimsical and lovely fabric I’ve seen. I stood there for a while trying to come up with a project idea worth the 3200 yen per meter price tag (almost US$40 per yard), but in the end I decided I couldn’t love Ms. Kitty quite enough. This sneak-attack photo doesn’t reveal much (photos aren’t typically allowed in craft stores), but the print is of Hello Kitty flitting amongst London Town icons. (Apparently this collection is only being sold in Japan, so if anyone is interested I’d be willing to go find some and put up a reserved listing in my shop – send me an email to discuss). I went to Futako-tamagawa in search of Hobbyra Hobbyre, but was delighted to find Lido Merceria just next door. Where Hobbyra Hobbyre is all things embroidery and French floral, Lido Merceria is German retro-era needlepoint. Lido Merceria feels more like a curiosity shop than a craft store. I loved the display case of vintage scissors and tools (yes, those are $85 embroidery snips, for anyone who is counting). With notions, buttons and trim, patches, and upholstery-weight fabric, all in varying degrees of vintage and new, this shop was a treat. And what did I end the day with? I showed incredible restraint — sashiko thread in pretty pastels, a printed sashiko pattern, and a few swatches of Liberty fabric. Not a bad day. Getting there: Take the Tokyu-Den-Entoshi Line from Shibuya station or the Tokyu-Oimachi Line to Futako-tamagawa station. Cross through Dogwood Plaza to locate the Takashimaya Shopping Center. Lido Merceria and Hobbyra Hobbyre and on the 5th floor of the South building, across from the Camper shoe store. 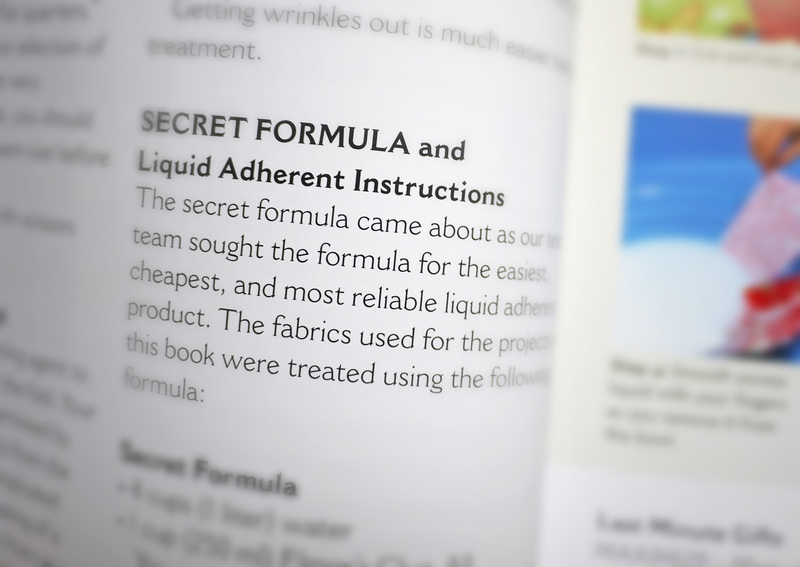 According to their website, Hobbyra Hobbyre can be found in other locations around Japan. Check store locations on their website for more information. It was a busy one for me here last week. Not only have I upped the ante on my Japanese study, I’m still trying to figure out how to do laundry/shop for groceries/live here, etc., but I also discovered two — yes, two! — new-to-me craft stores. 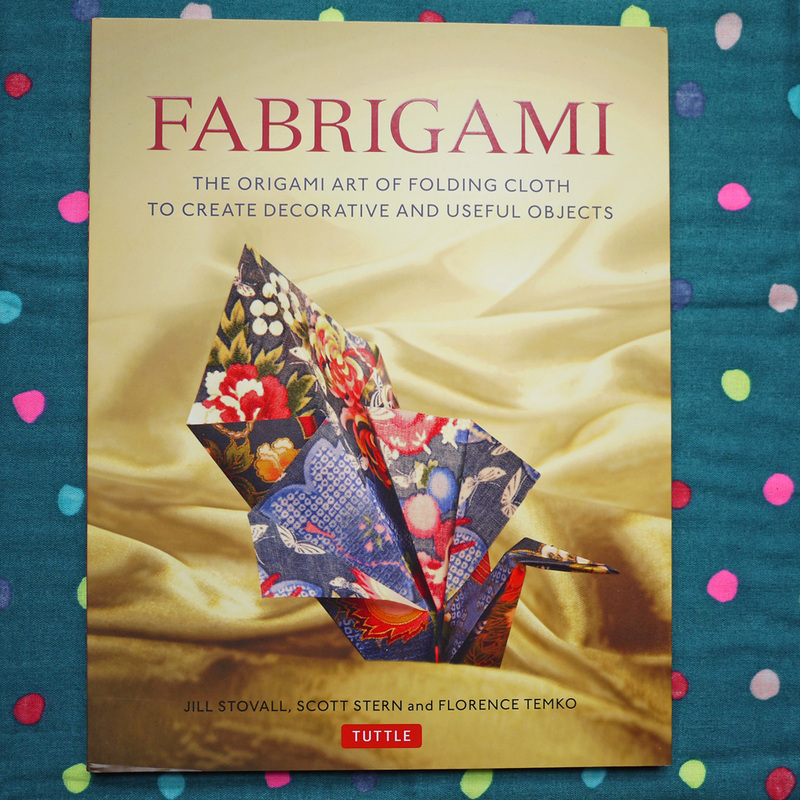 Now those of you who are new to the craft scene (aka, all of you who come to this blog for the food and are tricked into reading about fabric) may think all craft stores are the same. Not so, dear friends. Some are like warehouses where you have to dig through piles of musty fabric for a scrap of gold, and some are classy establishments, like La Droguerie. La Droguerie is beautiful. (No photos are allowed inside, so I snapped that shot on my way out.) 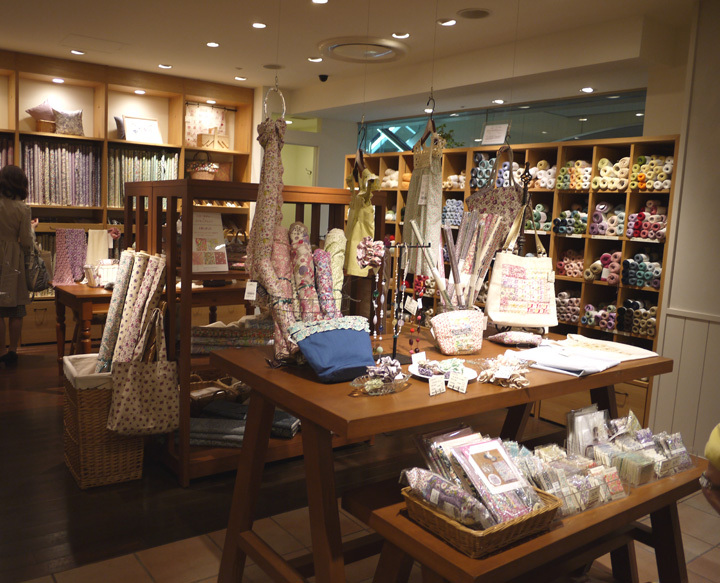 It is probably the most beautiful craft shop I’ve ever seen, and I have seen many in my short craft life. Bobbles and buttons are kept in big glass jars on well-lit shelves, and colorful rows of ribbons hang amongst fabric and other notions. La Droguerie was nice to look at, though I’m not sure I need to visit it too often. 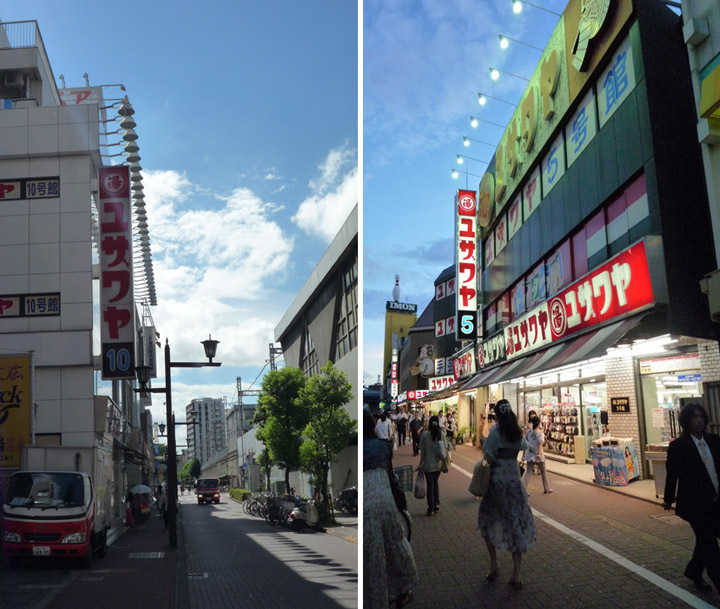 Especially because two days later, I found Yuzawaya ユザワヤ — eight buildings of crafts spread out along three city blocks. After the excited/frantic and perhaps unintelligible text message I sent to Dan, he reminded me to breathe and eat, advice I thankfully followed or I certainly would have passed out. In fact, as I inhaled some deep fried tofu skins (don’t cringe, it’s delicious!) while standing in an alley behind a 7-11, I realized I might indeed have a problem. But, more on that later. I spent a lot of time at Yuzawaya that day and only made it through 1.5 of the 8 buildings before they closed their doors for the night. A felted wedding cake anyone? 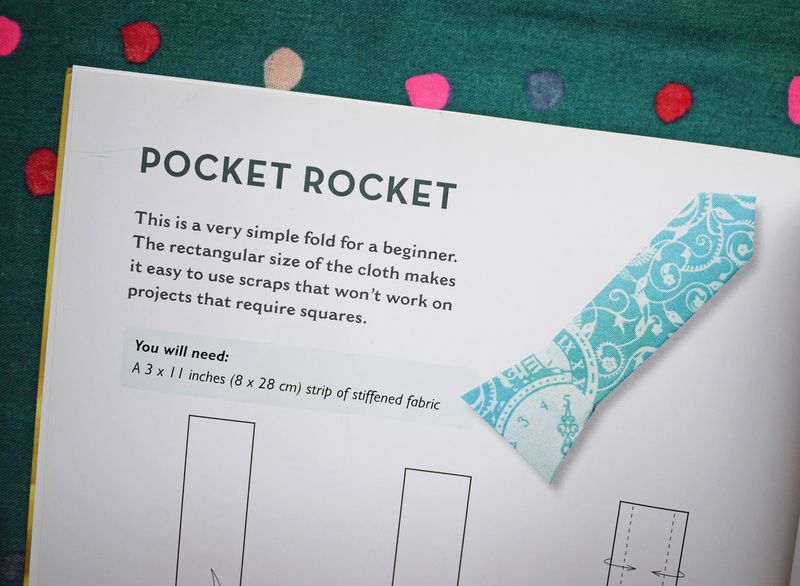 How about an adorable DIY stuffed mouse? Or a Hello Kitty kimono? It could all be mine! It was while at Yuzawaya when I realized that making things is more than just a hobby for me. It doesn’t have to be a problem — why not embrace it?! 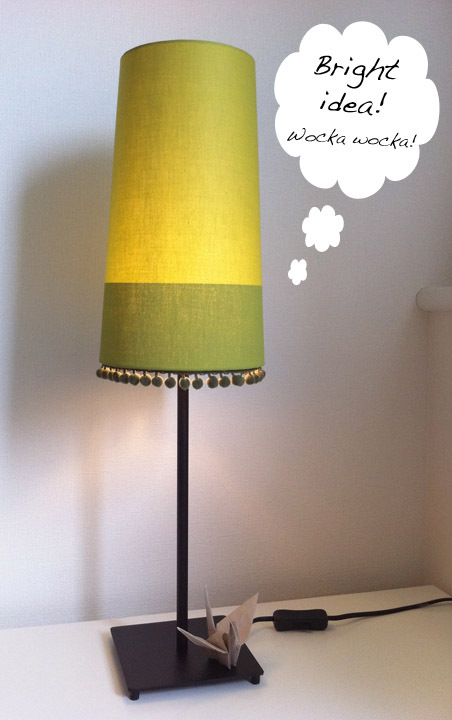 (Cue light bulb.) Though this Declaration of Craft will not surprise many of my friends and family, I have somehow surprised myself. And so, I have a new focus for my time here in Tokyo — in addition to exploring a new city and learning a new language, I’ll be venturing on some other craft-related endeavors. Huzzah! I promise to share in due time. I’m currently compiling a Tokyo craft guide, so check back for that in a few weeks. Thanks!